Brass pad for shifter fork set of 2 pcs. A beautiful work on brass to accentuate the security of your home/office and to add positive vastu energy to your premises. Herald the presence of Srikrishna (the almighty protector) with these auspicious locks on your door. It's a fully functional lock. Backed ourselves with sound amenities and talented personnel, we have emerged as one of the leading company of Brass Padlock. 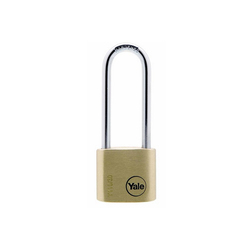 Driven by a vision to achieve significant growth in this industry, we are providing a premium quality array of Turtle Style Brass Padlock. 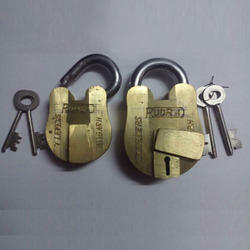 Being a customer oriented organization, we are deeply engaged in offering a wide array of Brass Padlock. Available size : 40, 50, 65, 70mm.